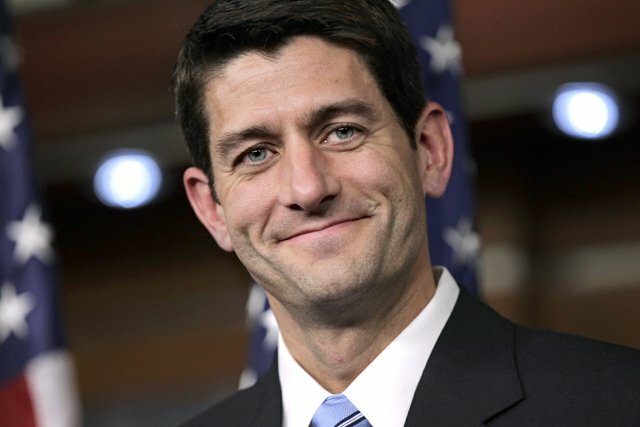 PAUL RYAN (R-WI) is the new Speaker of the House of Representatives, and right away he’s shown Americans that he’s just as good as John Boehner at waving the white flag of surrender. One of Ryan’s first decisions as the new Speaker was to announce that he won’t push any immigration bills until Barack Obama is out of the White House. And the Republicans wonder why two outsiders, Donald Trump and Ben Carson, are leading in every presidential campaign poll. Ryan’s weak justification for his do-nothing stance was to blame Obama. Ryan said the Republicans can’t trust the president on immigration. This is true. It’s also true that you can’t trust a thief who breaks into your house to steal from you, but it doesn’t mean that you don’t do anything to stop him. Ryan thinks it’s better to wait until 2017 to stem the gushing tide of illegal immigration. If you had cancer today, in 2015, would you want to wait until 2017 to start your chemotherapy? Paul Ryan’s first act of leadership as Speaker of the House was to wave the white flag of surrender on immigration. That is precisely why LIFA exists: to march up Capitol Hill and to confront those on both sides of the aisle who deceitfully attempt to focus on compassion for lawbreakers without showing any compassion whatsoever for American taxpayers and the rule of law. Support LIFA today! Help us replace the white flag of surrender with the great American flag once again! immigration, Legal Immigrants For America, LIFA, obama, Paul Ryan (R-WI). Bookmark.